What are the best ways to meditate at home? If you really want to go far with meditation, you need to know how to meditate at home. Because in all reality, to meditate consistently you need to make it as easy and accessible as possible. And that means being able to meditate where you spend most of your time. In other words: You need to know how to meditate at home. Plus, when you know how to meditate at home you can turn off the noise of the kids (or the parents…? ), tune out the stress of the day, and relax. As a meditation teacher I often visit people’s homes to show them how to meditate at home. And it is one of the most rewarding things a person can do. I do recommend creating a meditation space or room at home. 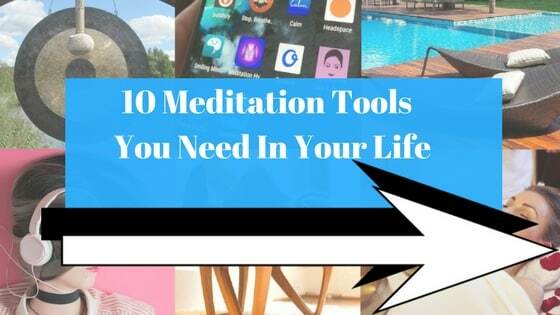 But if you don’t have one of those, here is how to meditate at home in any room (and in the garden, too). And if you want to take things further, you could always do a DIY meditation retreat in your house. Here are the best ways to meditate at home. Try each of them and let me know which your favorite is! One of the best ways to meditate at home is when you’re lying in bed. First things first: there is a right way and a wrong way to meditate when lying down. 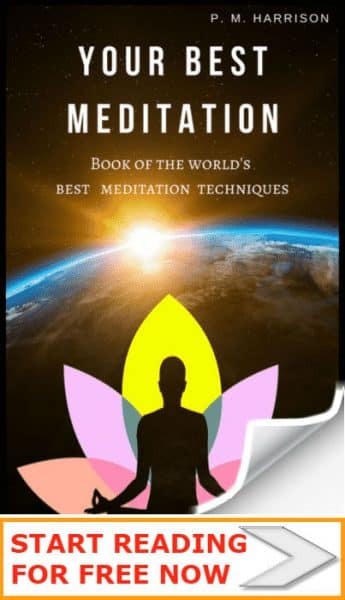 If you want to know how to meditate in bed, start with that link above because it will teach you how to meditate in bed when you’re lying down. After all, bad posture is not going to help you to get into Zen. If you want to meditate at home in bed, I recommend creating a relaxing environment, making sure the door’s closed (else, if you’re like me, your cat or dog will starting jumping on you), and dimming the lights. Let your muscles relax and let the bed take your weight. From here, you can either continue with a traditional meditation technique, or listen to some relaxing music. You might also like to read my guide to using meditation to get to sleep. Another of the best ways to meditate at home is when you’re in the shower. A lot of people ask me how to meditate in the shower. And no wonder. Showers are relaxing and therapeutic. Just be aware that there is the possibility of falling over in the shower and getting a spinal injury. Play it safe. And don’t go too deep when meditating in the shower. Start by getting the water to the right temperature. Make sure you’re standing tall and relaxed with good posture. Now begin to meditate on the sound of the water coming out of the shower. Next, feel the shower water on the crown of your head and meditate on that sensation. As with body scan meditation, move your awareness down your body, feeling the water cleaning you. Now meditate on the steam from the water, as it enters your mouth. Feel that steam moving into you and cleaning you from the inside. Now take 10 mindful breaths and say, “My mind and body are pure”. And that is how to meditate in the shower. And it is one of my favorite mindfulness exercises. Honestly, for me this is the absolute best way to meditate at home. Now you know how to meditate in the shower, let’s look at how to meditate in the bath. One of the best places to meditate at home is in the bath. Especially if you happen to have some lovely bubbles and perhaps a candle. Divine! Let your body relax and make sure your head and neck are supported. Make sure you’re not putting your mouth below water-level. No one’s drowning on my watch! Take 25 mindful breaths to relax. Now feel the warmth of the water around your body. Feel how your body relaxes in the water. Meditate on the sensation of the water meeting your body, like one soft energy bubble cocooning you. Now slowly begin to clean your body with the soap. As you move your hand and the soap around your body, be mindful of the areas your touch. Ask those areas to relax. Let the bath take you. Once you have finished, say the mantra “My mind and body are pure”. The dog’s barking. The cat’s vomited on the carpet. Your kids are screaming at each other. And the place is a wreck. That’s when you need to know how to meditate in a noisy house! So, how do you meditate in a noisy house? There’s the simple way and the hard way. 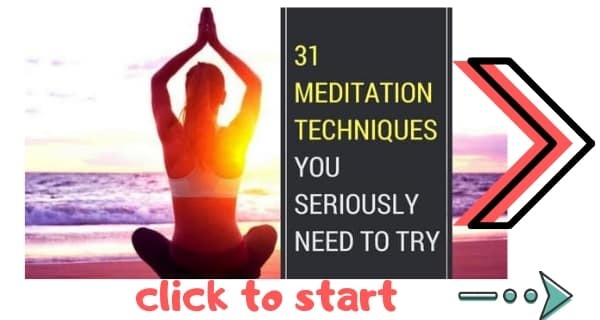 The simple way is to put on some earphones and listen to a relaxing guided meditation, or listen to some meditation music (speaking of which, here is the best free meditation music). The hard way is to meditate in the noise. It’s not easy, but it is worth it. Because once you know how to meditate in a noisy house, you will know how to cut out distractions. The best way how to meditate in a noisy house is to take the noise as a challenge. Imagine: If you can focus in that noise, you’ll be able to focus on anything. There’s some tricks you can use for meditating in a noisy house too. The best one is to simply label the noises like you do when practicing vipassana meditation. Ah. The garden. The best place to meditate at home. But how do you meditate in the garden? And how do you make gardening a meditation technique? Pick your favorite flower scent and meditate on it (this is a really good one because many people do not often meditate on scents, even though there is a direct connection between scents and emotions [source]). Now you know how to meditate at home, you’re going to find life so much more relaxing. You can cut out the stress and the noise and find some good old fashioned you time. What do you think is the best way to meditate at home? I’ve just started to discover the many benefits of meditation and I’m glad I found your blog, thanks for the really interesting posts! Thanks Paul for writing such an amazing post on meditation. After reading this post I understand that we can meditate anywhere in our house. Meditation really helps us to replenish and conserve our energy.